I don't have much of an introduction for this post. And I'm pretty darn sure my Oral Communications teacher would probably hang her head in shame. So here we go. I started with three coats of China Glaze Light As Air from the Up & Away collection (Spring 2010), sponged Color Club Sugar Plum Fairy (Holiday 2011), and stamped with China Glaze Four Leaf Clover--also from the Up & Away collection--using Bundle Monster Plate BM203. 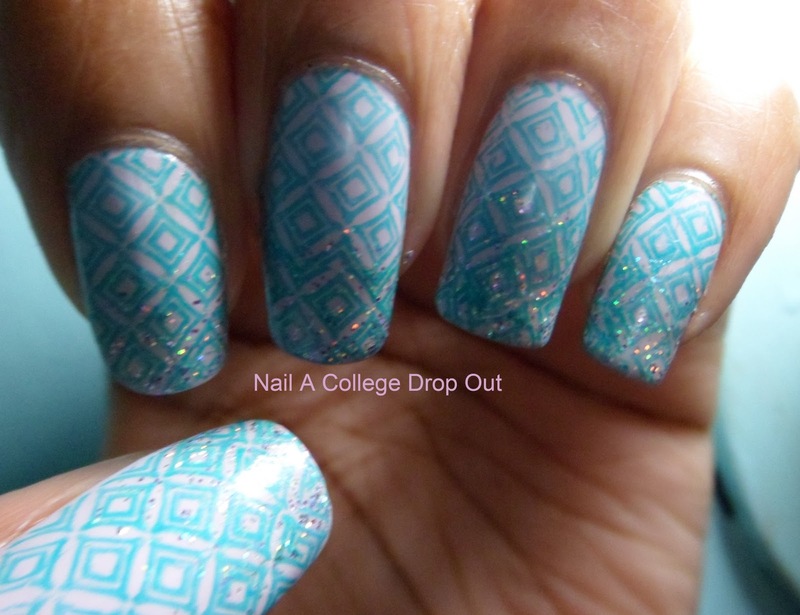 Such a pretty design and the glitter tips was a nice touch!